This shipwreck is believed to have been caused by the ship's captain mistaking West Bay for the Vatersay Sound, a short distance to the north, during a severe storm. 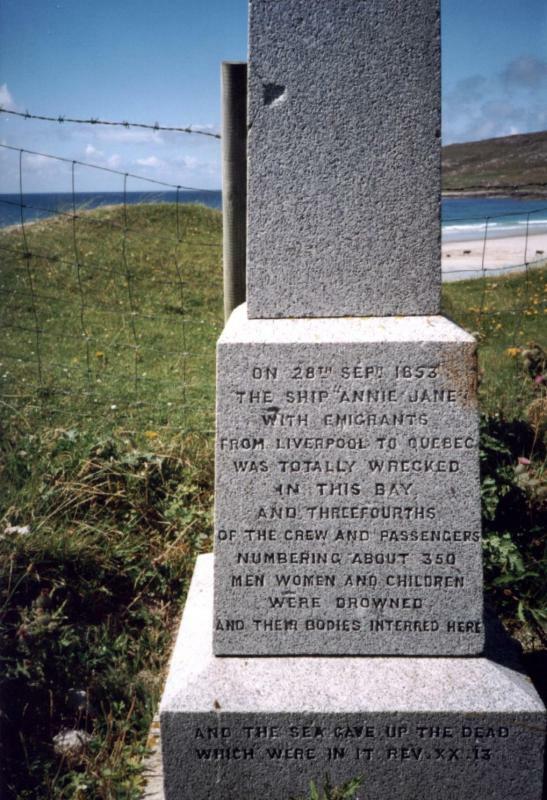 Three quarters of those on board, crew and passengers en-route from Liverpool to Quebec, perished and were buried on the shore. The granite monument stands on the shore of Bagh Siar, just off the road to An Meall.